He joined the Navy and served as a yeoman and chauffeur. After discharge he attended and was an early graduate of Oregon Technical Institute (now OIT). In 1952 he married Dorothy Saunders of Malin. They lived for 9 years in Klamath Falls, where their three children were born. In 1961, they moved to Seattle, Washington, and Lloyd operated his own business as a pattern-maker and foundry-man. After retiring in 1997, he and his wife moved to Sisters, where they lived 20 years. They moved to Emmett, Idaho in 2017 to be near family because of declining health. Lloyd is survived by his wife of 66 years, their children: Barbara Adamczyk (John), of Santa Clarita, California; Jim Fields of Flagstaff, Arizona; and Linda Stepon (Randy) of Emmett, Idaho; and four grandchildren - Joshua, Travis, Holly and Quentin Stepon; sisters Sandra Haney of Redmond, and Dena Rogers of Malin; and many nephews and nieces. He was preceded in death by his parents, Roe and Blanche Fields; brothers Andrew and Kenneth; sister Marie; and granddaughter Sally Stepon. Lloyd felt blessed to have had many happy hours hunting, fishing and camping with Dorothy, friends and family over his 89 years. He and Dorothy enjoyed pulling a 5th wheel for camping in a caravan with her sister June and brother-in-law Paul and her brother John and sister-in-law Zelle to sightsee across the western half of America. Lloyd could often be found tinkering and restoring cars, the last of which were a 1926 Ford Model T and a 1952 Ford Pickup. He had some funny stories regarding the custom (loud) exhaust pipes he favored for his vehicles. 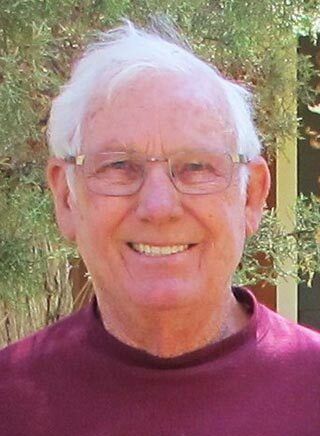 To the delight of his grandsons, he spent many hours recounting and embellishing about these adventures and his time in the Navy as a young man and as a child in Oklahoma with his cousins, siblings and parents. He used his skills, talent and creativity to provide for his family and enjoy life. Rest in peace husband, father, grandfather, brother, uncle, cousin, friend and boss. Lloyd will be missed but remembered fondly as a good soul.